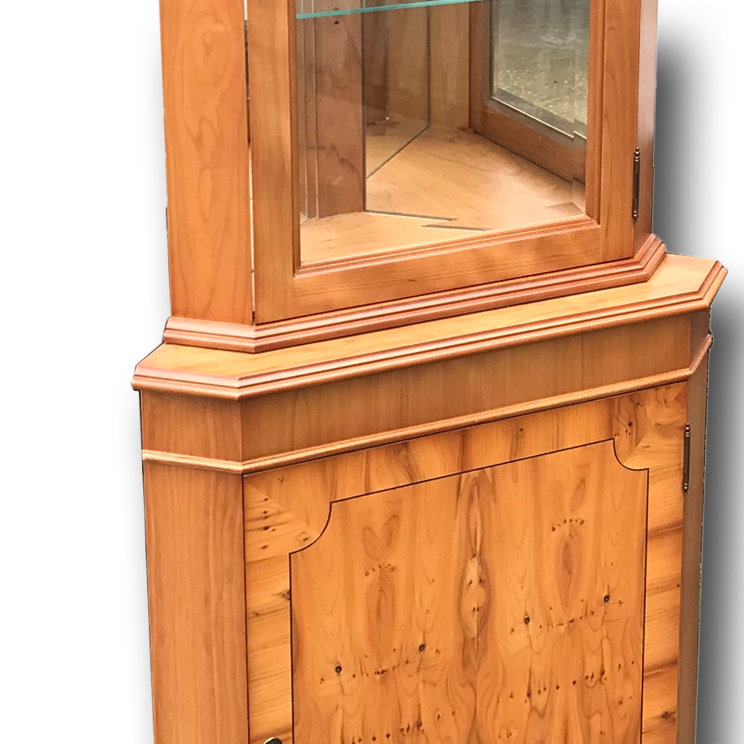 Superbly made reproduction corner display cabinet with scallop-inlaid lower door and fully dressed display cabinet top. 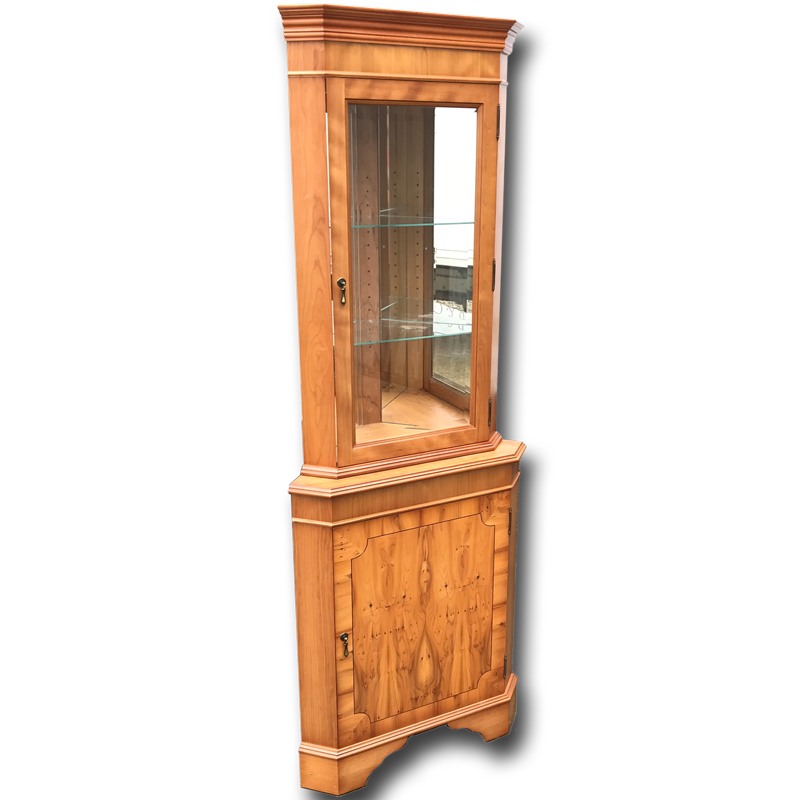 Fitted as standard are galss shelves, mirror backs and a bevelled edge glass door, choosing a cut glass door costs an extra £35. These cabinets are made to order and therefore if you would like a bespoke size or other alteration, please do ask!